In only three weeks, the GMA Telebabad lineup debuted three new teleseryes. That is a turnover of over a half from its previous lineup. Just last Friday, two GMA teleseryes aired their series finales. ‘Binoy Henyo’, a story of a wonder kid with an impoverished life, finished its run with the titular character Binoy (David Remo) reuniting with his real parents Agnes (Sheena Halili) and Francis (Luis Alandy), only after Agnes was acquitted of all charges filed against her by Emily (Gwen Zamora). Likewise ‘Anna Karenina‘, a story of three girls trying to solve the mystery of the real Anna Karenina, ended its run after it was revealed that Anna (Barbie Forteza) was the real Anna Karenina. And yesterday GMA debuted a pair of new teleseryes: the kiligserye ‘Prinsesa ng Buhay Ko’, starring the love team of Aljur Abrenica and Kris Bernal, and ‘Kahit Nasaan Ka Man’, starring Julie Ann San Jose and Kristoffer Martin. The former tells the story of Princess, an orphaned young woman who nevertheless showed determination and hard work. She eventually fell in love with Nick, but only after they cross paths once more after first meeting in an orphanage. The latter tells the story of Leandro and Pauline, born handicapped and out of poverty but eventually fell in love through music, but only after a series of family squabbles threatened their love for each other. Air times for ‘Prinsesa ng Buhay Ko’ and ‘Kahit Nasaan Ka Man’ are currently sandwiched between GMA’s early evening newscast ’24 Oras’, occupying the slots vacated by ‘Binoy Henyo’ and ‘Anna Karenina’, respectively. GMA’s two new offerings are also aired opposite ABS-CBN’s highly-rated series ‘Annaliza’ and ‘Juan de la Cruz‘, whose ratings have remained highly consistent even as GMA continues to search for answers regarding their low ratings in the late afternoon/early evening timeslot. After ‘Mundo Mo’y Akin’ ended its run and was replaced by ‘Akin Pa Rin Ang Bukas’, followed by the aforementioned new teleseryes, GMA has turned over half of its ‘Telebabad’ lineup, a sign that the network is still searching for stability on primetime. 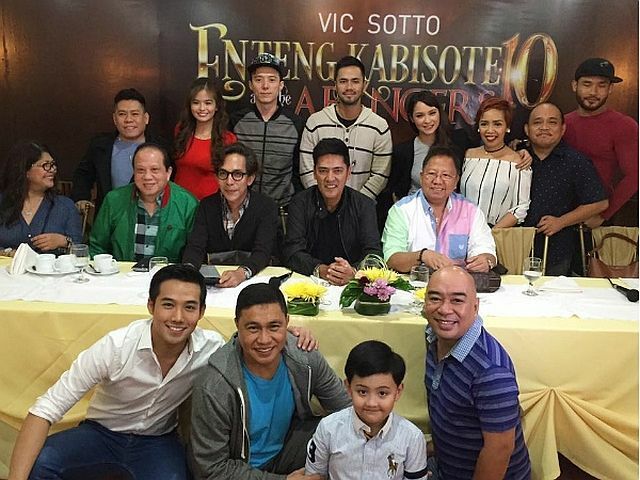 Nevertheless, Kapuso fans hope that with fresh blood comes a better ratings return for the Kapuso network.